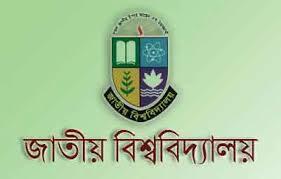 National University Honours admission circular has been published on Thursday September 1. No admission test will be held this year. Students will be admitted by the GPA they have got combined in SSC and HSC examination. Admission seekers who have obtained minimum GPA 4 combined in SSC and HSC examination will be able to apply for National University admission. Students will be able to choose college and subjects as they want. But I have to mention that the one who has more GPA than other will be able to choose more subjects than other. The subjects you will be able to choose will be varied from college to college. To have clear idea about Nation University honours course and to know which subjects should you choose , please visit our Which course should I choose ? article. In this article , you will know which subjects of NU has more values and which course can offer you a bright career opportunity and higher education facilities. We are bringing everything you need to know to apply and to choose college and subjects for NU admission. Anyone who has GPA 4 points combined in SSC and HSC will be able to apply. The other requirements are stated below. To apply for any subjects of Humanities Unit, such as Bangla, English, History, Political science, Islamic History and Culture, Economics, Philosophy; one will have to have at least GPA 3 in that subjects. For example, to apply for Bangla, you have to have at least GPA 3 in Bangla in HSC examination. The same rules will be applied for Science and Business Studies. To apply for any subjects of Science Unit or Business Studies Unit, admission seekers need to have minimum GPA 3 in that subjects in HSC. Students of Humanities & Business studies will not be able to apply for any of Science Unit. Students of Business Studies & Science will be able to apply for any subjects of Humanities Unit. Students of Science & Humanities will be able to apply for any subjects of Business Studies Unit. Seat allowance of some important subjects is mentioned below for your information. Now that you know about the seat allowance, you can choose your subjects carefully. To be more clear, if you are from Business Studies and you are applying for any subjects of Humanities unit, you are less likely to get it. Only 5% students of Business Studies will be able to study in any subjects of Humanities. Same rules will be applied for other subjects and groups. Application for National University admission can only be done through online. Visit admissions.nu.edu.bd and enter you roll, reg. 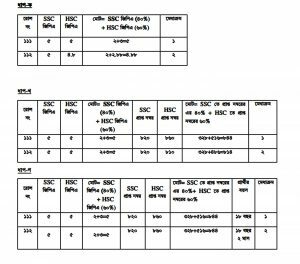 number and other data of SSC and HSC examination. After selecting college, you will be able to see list of subjects and number of seats available in the college you selected. Then select subjects very carefully. You can take advice of you senior or your guardian to select the subjects. After completing all this process, click ‘submit application’. Then you will see a roll number and pin. Then you will have to submit the printed form to the college you applying for with the attested photocopy of reg. card and tabulation sheets of SSC and HSC examination. Note: if there’s any mistake in the form, you can change it before submitting it to the college. You can change your picture as well but for once. The methods of preparing merit list are shown in the picture below. Feel free to ask us any question regarding this. We will try our best to help you as much as possible. Stay with for more updates.